Manufacturing all of our products in our wireworks in Featherstone, West Yorkshire, since 1945. We are proud of our British heritage and wire work traditions. R.V. 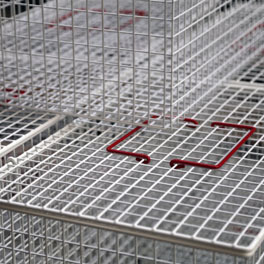 Rugg Ltd : Wire products, fabrication and finishing services. R.V. 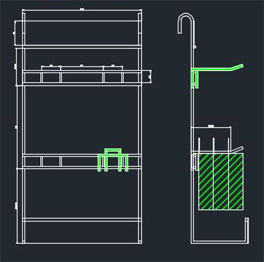 Rugg Ltd is a leading manufacturer of bespoke wire products, offering wire product design, fabrication and metal finishing services. Manufacturing all of our products in Featherstone, West Yorkshire, since 1945, we are proud of our British heritage and wire work traditions. 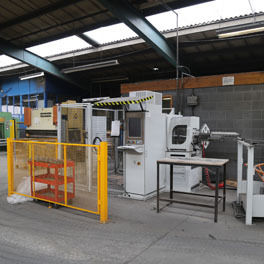 Our factory is ideally located to service the needs of our customers and we distribute throughout the UK. Working with both mild and stainless steels, we specialise in bespoke wire work manufacture to give cost-effective solutions for our customers over a diverse range of industries. Ongoing investment in the latest wire forming and wire fabrication equipment means that we can offer a comprehensive wire work service including CNC wireforming for wire components, wire fabrication for wire products and assemblies, and a full range of finishes. Our product range encompasses wire shopfittings, including wire shelving and wire stacking and storage baskets, wire guards for many applications including light guards and heater guards, and wire point of sale items such as shoe racks. Whatever your wire work requirements, our highly experienced team are here to offer a completely bespoke manufacturing solution.